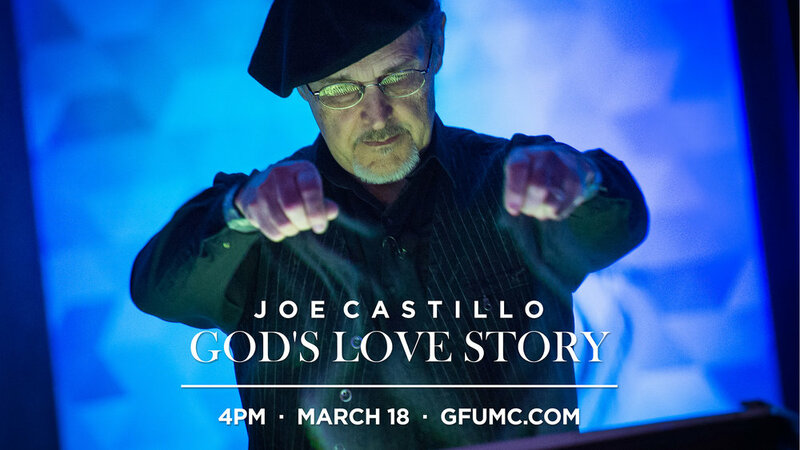 Joe Castillo is a master storyteller who shares a message of hope through sand art in a way that inspires, motivates, and touches the heart. SandStory consists of art images drawn in sand on a light table and projected on a large screen. This captivating performance is scored and choreographed to music. Videos of Joe Castillo’s work have been viewed online more than 54 million times. He has performed in more than 26 countries and on several major television networks. He was recently a finalist on the NBC hit television show America’s Got Talent. $10 for adults, free for those under 18 years old. Childcare available.